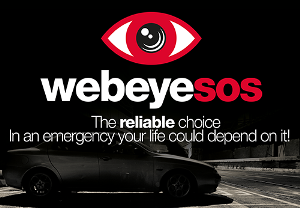 webeyeSOS is our new personal protection and safety solution for lone workers or guards and webeyeSOS track me is it's management function which allows you to monitor and track the movements of your staff. 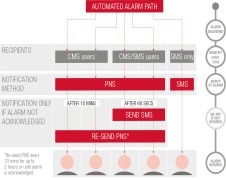 Be assured the solution is like no other on the market. 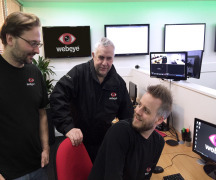 It's not only the functions that make webeyeSOS the best and most reliable system - It's the fact it is integrated into the world beating webeyecms platform and is backed by technical staff giving 24 hours a day cover, a multiple of cloud based servers and a myriad of software cross checks and balances to make sure it can provide the potentially lifesaving task of delivering a panic alert. This super-fast and super-reliable application will become an invaluable management tool and greatly improve staff safety. Come and see us on stand C330. 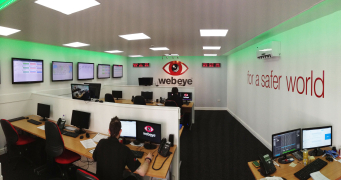 webeyeCMS are taking part in the Innovation Trail at IFSEC, June 16-18 ExCeL London. Register now to join them there. 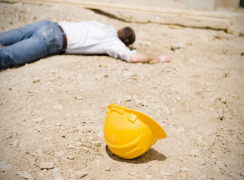 Have you considered the safety of your lone workers? A key component in addressing the risk is making arrangements to provide quick back-up or help. 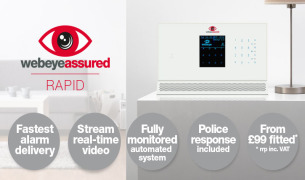 As VDT is the largest and only value added distributor of RSI Videofied products in the UK we look forward to the new business opportunities the acquisition RSI Video Technologies by Honeywell presents. The head of security was somewhat surprised when an alarm appeared on his mobile via webeyeCMS and saw the thief was standing in his own backyard. You can now download our new webeye sales brochures! Weve produced some new brochures that you will find are invaluable sales aids which talk about the amazing features & benefits of webeye.